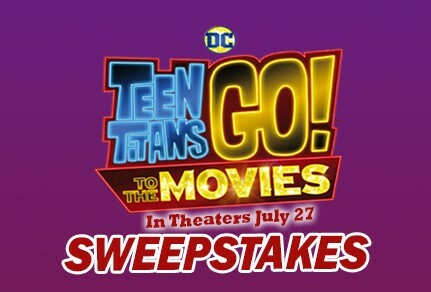 Dippin' Dots is sending one lucky winner and three guests to the movies in Hollywood, California! Others will win FREE Dippin' Dots! GRAND PRIZE: A trip for Grand Prize Winner and up to three (3) guests which includes only the following: ROUNDTRIP AIRFARE: roundtrip, coach-class air transportation for Grand Prize Winner and up to 3 guests from a United States gateway airport closest to the Grand Prize Winner’s home (as determined by Sponsor or the person/entity arranging travel for Sponsor in its sole discretion) to Los Angeles, California. HOTEL: Three (3) nights hotel accommodations in a single family room in hotel of Sponsor’s (or the person/entity arranging travel for Sponsor’s) choosing. STUDIO TOUR: Behind-the-scenes tour of Warner Bros. Studio (Warner Bros. Studio Tour), including a 2 hour guided tour and a self-guided tour of the interactive ‘Stage 48: Script to Screen’. TOUR OF L.A.: 1.15 hour limo tour of Beverly Hills in Los Angeles, California, including a driver and private guide. Total Grand Prize Approximate Retail Value (“ARV”): $4,995.00. ONE (1) FIRST PRIZE: (i) one certificate redeemable for up to twelve (12) Dippin’ Dots home delivery shipments, each consisting of one (1) 30-serving kit which shall include one (1) bulk bag (approx. 1 gallon) of Dippin’ Dots product. Total First Prize ARV: $720.00. This Sweepstakes ends on 08/10/18 and you can ENTER DAILY to win.